This Beige Colored Beautiful Lehenga Suit has Heavy Zari and Resham Vork Yok & Pannel ,Stylist Cut Double Layer Suit This Beautiful Lehenga Suit has Zari, Badla And Sequence With Contrasting Color Resham Work. Very light yet looks heavy. 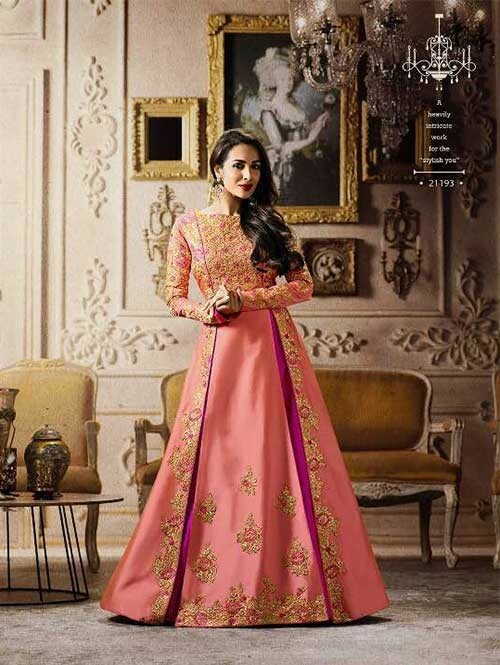 Awesome Lehenga for a Wedding or Special Occasion.